Millions of online advertising dollars are wasted every day: Ads appearing in front of an irrelevant audience. Marcia Morgan will share her top tips and insider insight that will help you spend your Google Ad dollars more wisely by tightening up your targeting. You’ll learn what you can control, how to carefully define your online audience, how to communicate better with the people running your campaigns (and hold them accountable), so the right ads show to the right people at the right time. A great workshop for any business owner or marketer who is skeptical or concerned about budget spent on Google Search, Display or YouTube video advertising. We’ll leave lots of time for Q&A. Marcia Morgan has three decades of experience as an entrepreneur who has used a variety of media and marketing methods to reach audiences throughout the U.S. She co-founded and co-managed a NH-based commercial printing company for 19 years and ran a national seminar marketing company for 4 years. 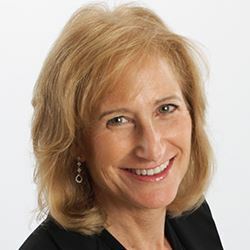 Marcia has worked with more than 500 companies in virtually every industry category. She brings a creative, goal-oriented, “big picture” approach to each project, understanding the commitment, resources, and restraints (people, financial, technical) needed to implement marketing initiatives. Her marketing consulting practice focuses on search engine optimization (SEO), Google Ad campaigns, inbound lead generation, and web content strategy for organizations that rely on the Internet for sales and brand awareness. She consults for businesses throughout the U.S. and for several marketing firms and web site developers.